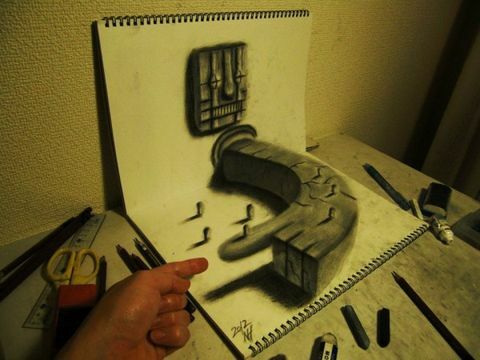 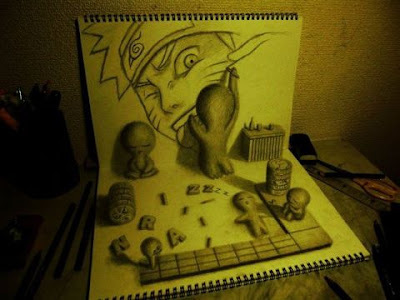 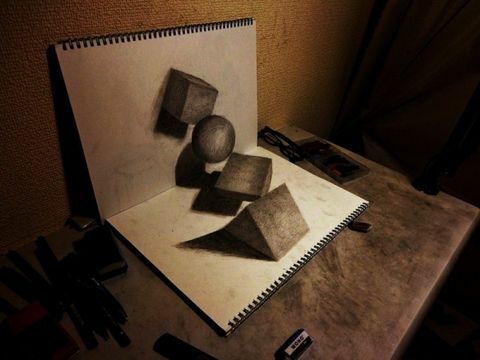 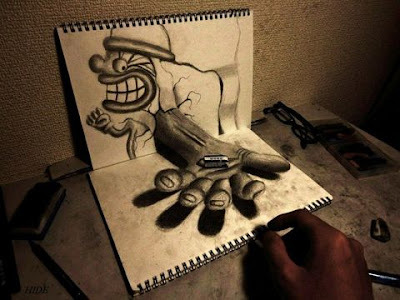 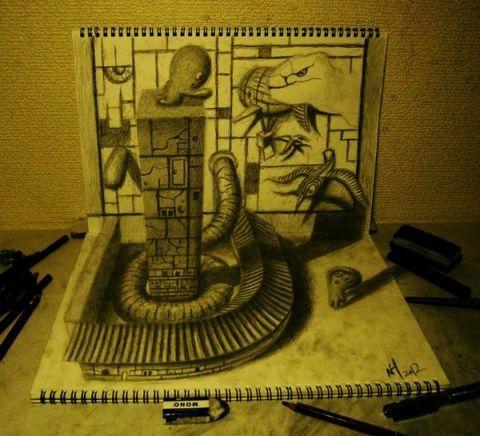 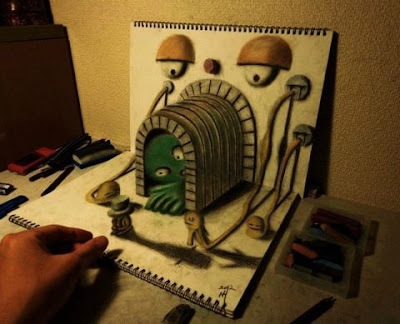 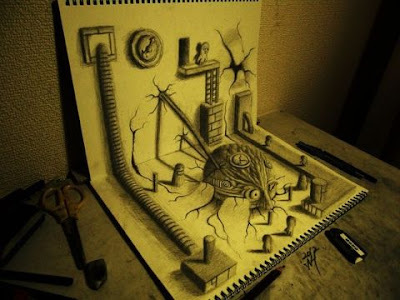 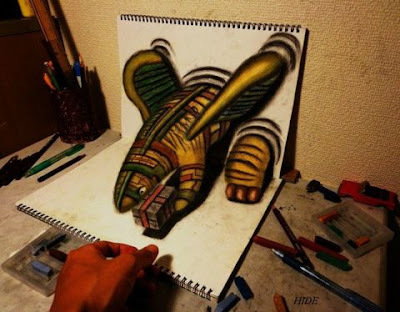 These 3D sketches by 21 year old Japanese artist Nagai Hideyuki are the type of drawings that make you do a double take. 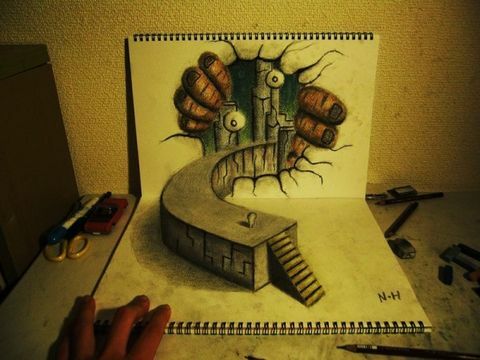 They literally look as if they are popping off the page. 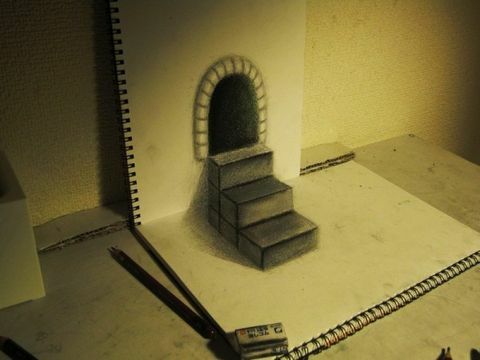 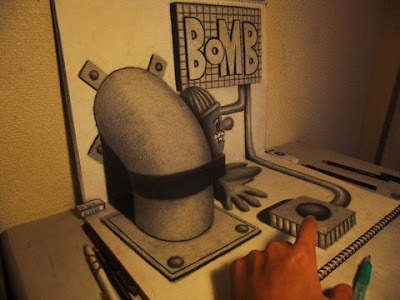 He creates these 3D images by skillfully combining the perfect lighting, shadowing, and anamorphosis. Watch the video to see how much these drawings transform just by changing your viewing perspective. 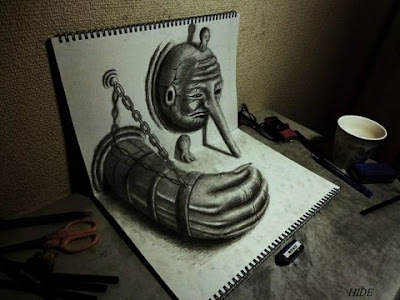 See more examples of Nagai Hideyuki’s work on his website and Deviant Art page.